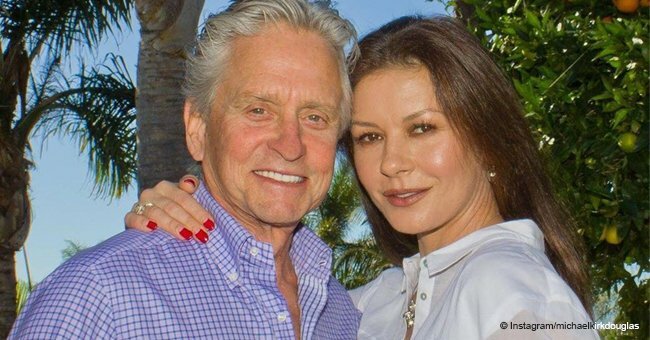 Catherine Zeta-Jones and her husband, Hollywood legend Michael Douglas, posed next to their son, Dylan, to celebrate his future high school graduation. The proud mother-of-two took to her Instagram account on Sunday, May 27, 2018, to share the great news with her friends, fans and followers by posting a photo of her son all dressed up for prom night. 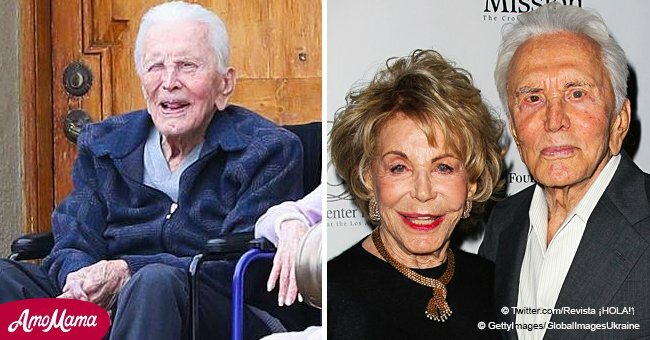 17-year-old Dylan will be attending college soon, and as he grows older, he is starting to look more and more like his famous parents’, as it can be seen in the actress’ Instagram photos. In the first picture, Dylan can be seen combing his hair with his fingers as he elegantly poses for the camera, dressed in an impeccable black and white tuxedo, which he complemented with a bow tie. The young man looked very stylish and his 48-year-old mother couldn’t help but express her pride, gushing over the success that Dylan has achieved so far. 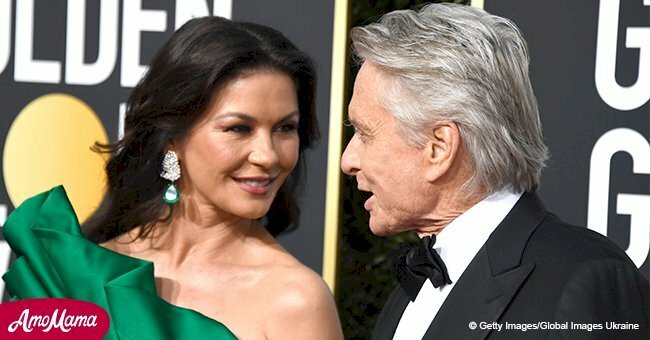 The second photo shared by Zeta-Jones is much more personal and serves as a reminder that the actress and her husband will always be there for Dylan. The three posed for a cheerful family selfie right before prom night. But Dylan’s parents weren’t the only ones sharing his success on social media. His sister, Carys, also celebrated her brother’s milestone by uploading a picture of the two from when they were still children. Carys paid tribute to Dylan by describing him as her ‘partner in crime since ‘03,’ the year in which she was born, demonstrating that the bond they share couldn’t be stronger. In December of 2017, brother and sister also shared a special moment following the birth of their niece, Lua Izzy, daughter to Cameron Douglas and Viviane Thibes. 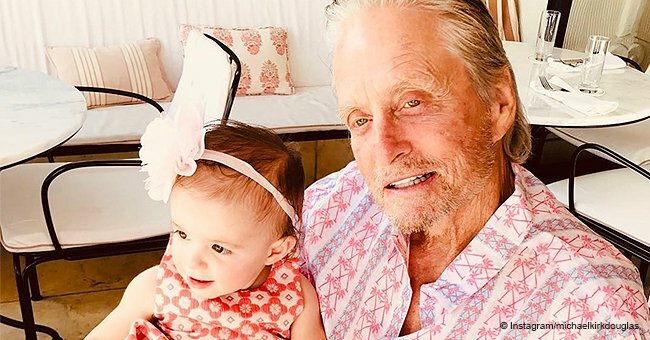 39-year.old Cameron was born from Michael's relationship with his first wife, Diandra Luker, and he too used Instagram to show the world his baby daughter, who can be seen sleeping in Dylan's arms.